Anxiety is an apprehension of experiencing fear in the future. The danger feared isn’t imminent and may not even be known or realistic. In contrast, fear is an emotional and physical reaction to a present, known threat. 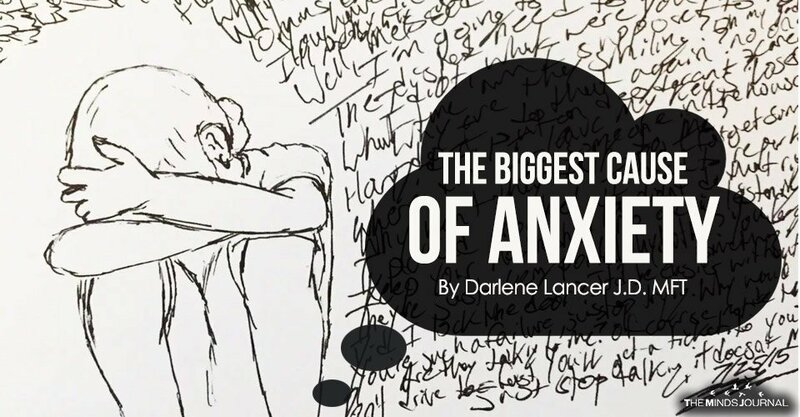 Anxiety is typically characterized by obsessive worry and an inability to concentrate that may affect our sleep. When I was hit while driving by an oncoming car, in the moments before impact, I felt terror and didn’t expect to survive the crash. For about a month afterward, I felt anxiety about driving and drove slower and more cautiously. This was a traumatic event, but eventually, my anxiety passed. Abuse and trauma, including major losses, are considered foremost causes of anxiety. We can feel anxiety about our finances or serious medical diagnosis, but most anxiety is shame anxiety, which is apprehension about experiencing shame. It’s caused by traumatic shame that has been internalized from the past, usually from childhood. Shame anxiety affects our self-esteem. We worry about what we say, how well we perform, and how we’re perceived by others. It can make us very sensitive to real or imagined criticism from ourselves or others. Shame anxiety may manifest as social phobia or in symptoms of codependency, such as controlling behavior, people-pleasing, perfectionism, fear of abandonment, or obsessions about another person or addiction. Worry about our performance on the job, an exam, or speaking before a group is an apprehension about how we’ll be evaluated or judged. Whereas men are more vulnerable to shame anxiety about loss of work, women worry more about their appearance and relationships. Men in particular, have shame anxiety about failing or not being a good provider. Perfectionism, too, is an attempt to achieve an imaginary ideal in an attempt to be accepted by others.